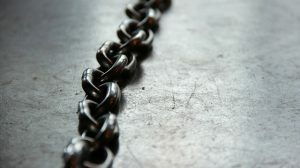 When it comes to operating a supply chain, there are a myriad of moving pieces and a large number of hiccups that can occur. Your goal is to ensure that your manufacturing process implements smoothly into the rest of your business operations. In order to make the best of outsourcing your manufacturing, it is important to take the time to conduct a SWOT (Strengths, Weaknesses, Opportunities, and Threats) assessment. This can help you to minimize waste and maximize profits, all while ensuring quality in your products. If you are considering outsourcing your manufacturing and need help conducting an assessment of your supply chain strategy, please reach out to our team. 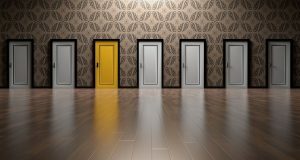 We have the industry experience and the proven relationships needed to help you find the perfect global outsourcing solution for your unique needs. Read on to learn more about our use of SWOT assessments for the clients we work with. For the initial part of your assessment, you will want to focus internally. Look at your company as a whole, your specific division, and yourself. Focus during this period of the assessment on what strengths lie in these areas. Make sure you dive deep as you analyze what you do best. Ask questions about what you are doing that is better than your competitors. Look into how you are succeeding on a daily basis. What methods have you constructed that are working brilliantly? This is the time to celebrate your wins and create documentation surrounding your businesses’ greatest successes. While you are inspecting all your strengths, don’t get caught up in any negatives or travel down any rabbit trails. If you notice a weakness alongside a strength, make a quick note for the next stage and move along. Don’t focus any of your energy on those weaknesses yet, as it is important to build out a robust picture of your company’s strengths. You might be surprised at what you unearth during the process and how those strengths can be leveraged better going forward. Assess where you are most profitable and how you can better tap into this area of expertise. For example, many clients we work with realize through their SWOT assessment that manufacturing is not actually their company’s strength. They find that instead, their greatest capabilities lie elsewhere and manufacturing has actually been a drain on those strengths. After taking the time to focus on the areas where you are already doing an outstanding job, it is now time to analyze your company’s weaknesses. This is the same as your strengths in that your weakness assessment should only focus internally. Look at your company as a whole, your specific departments, and yourself during this stage. Don’t focus on external factors but instead on internal processes and methodologies. During this stage, you will want to ask yourself questions about where your biggest drains are. What is costing you more than it is worth? What resources are you lacking? What areas of your business are the least profitable? This stage can be painful as you often realize that areas you thought were your greatest strengths are actually your biggest drains. Look for areas where you are holding your business back from achieving your goals. After you have spent your focus on the internal aspects of your business, you will want to turn your focus outward. Start by looking at ways you can utilize external resources to improve your company’s supply chain management. Think about what goals you have set and how you can leverage your existing client base to reach those goals. This is a great time to take into consideration the opportunities global outsourcing can provide for your business. By outsourcing your manufacturing, you open up the doors for a slew of incredible opportunities for your business to grow and succeed. Take a deep look into how outsourcing might reduce costs, improve your ability to manufacture at a greater rate and speed, and cut down on wasted internal resources. The last part of your SWOT assessment will be to consider external factors that could damage your business. You will want to focus on the outward forces that will work against your success. Think about the competitors in your space and how they might outpace you. Consider your market and the current state of the economy. This assessment will involve a detailed dive into the huge array of external factors that can derail your company’s success. The goal of the threat assessment portion of a SWOT analysis is to aid you in minimizing those threats. If you don’t know what you are up against, you have no way to prepare for the worst. When you understand what external threats you face, you have a better chance of minimizing those issues and planning accordingly. 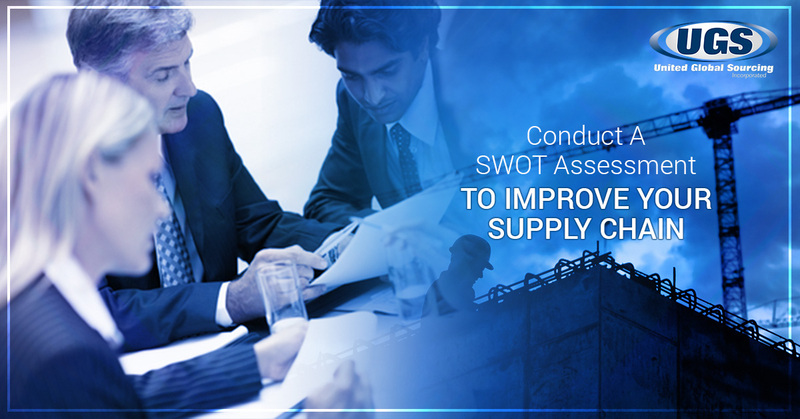 Here at United Global Sourcing, part of our services include SWOT assessments. When you choose to outsource your manufacturing through us, we can ensure your supply chain management is as optimized as possible. Unlike many sourcing consultants, we don’t simply match you with a manufacturer and walk away. Instead, we continue to provide ongoing services to help continually improve your business’ efficiency and profits. From factory selection to the continuous monitoring of production status, we are with our clients every step of the way. We will utilize our assessments to continually search for improved production processes, leading to a greater profit for your business. Talk to us today about how we can work with you to revitalize your supply chain strategy.